Cardispan – Does it Really Work? The weight loss market is constantly developing new and improved products and supplements to help all different kinds of people make healthy improvements to their bodies. One of the latest weight loss products to hit the market is Cardispan; rather than an ingestible diet pill or drink mix, Cardispan is actually an injectable supplement designed to target problem areas in which the storage of undesirable excess fat is most likely to occur. Unfortunately, due to the fact that Cardispan is still relatively new to the weight loss market, it’s difficult to find much information on the radical new supplement. However, the information that is available doesn’t exactly come across as a ringing endorsement for this product. Is Cardispan worth a try, or will you be better off sticking with more traditional weight loss tools such as diet pills? Let’s take a closer look at Cardispan and see if we can answer that question. Cardispan was originally developed by Grossman Laboraties, which appears to be a Mexican pharmaceutical and supplement company. 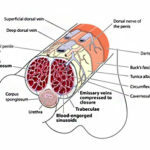 Unfortunately, neither Grossman Labs nor Cardispan seem to have official websites, so it’s virtually impossible to find any official sources of information about this supplement or the company that produces it. 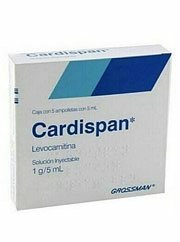 Cardispan does not seem to be available in the United States, although it is sold over the Internet by sources that originate from Mexico, Honduras, Costa Rica, Nicaragua, Guatemala and Panama. However, it’s rarely a good idea to use a product if you do not know or cannot learn anything about the source from which it comes or the company that developed and created it. Cardispan is designed to be injected directly into problem areas in which excess fat is most often stored. These areas include such commonly flabby areas as your abdomen, thighs and hips. While Cardispan is allegedly capable of helping you lose the undesirable fat from these areas of your body, there doesn’t seem to be anything resembling a scientific explanation for how it accomplishes this. Unfortunately, there may not be an explanation for how Cardispan works because it may not work at all. Medical research groups and nonprofit organizations such as the Mayo Clinic have reportedly investigated Cardispan, only to conclude that the supplement is incapable of having any kind of metabolic effect on your body that might result in weight loss. Unfortunately, a full list of the ingredients that can be found in Cardispan does not seem to be available. 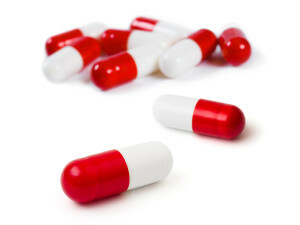 You should never use a health supplement if you do not know what ingredients it contains. Third party sources have only seemed to identify one ingredient that can be found in Cardispan’s formula: L-Carnitine, a naturally occurring amino acid responsible for the transportation of fat through your body, to parts of your biology where it can be used to create energy. Side effects of using Cardispan reportedly include unpleasant body odor, nausea, vomiting, stomach cramp and diarrhea. When ingested, L-Carnitine is capable of accumulating as plaque in your intestines, resulting in various serious health complications. However, it is unknown whether these same side effects result from injecting L-Carnitine. There does not seem to be any advantages to using an injectable supplement such as Cardispan over more traditional and reliable weight loss aids such as diet pills. Official information regarding what Cardispan is, what it’s made of and how it works is virtually nonexistent. It’s generally unwise to trust and use a product that you don’t know anything about, especially when it comes to health supplements that you have to inject into your body. Cardispan is not even proven to result in effective weight loss, so you may want to consider trying more reliable methods, such as diet pills instead. Cardispan is a radical new injectable weight loss supplement designed to treat problem areas in which excess fat is most likely to develop. While it allegedly contains L-Carnitine, an amino acid that some believe may play a role in weight loss, there is very little information about Cardispan available and it does not seem to be a very convenient, reliable or effective method for losing weight. It’s never a good idea to trust a product that you know very little about, and it doesn’t seem to be possible to learn very much about Cardispan. Injectable weight loss technology is still relatively new and may not be as effective as more reliable and traditional weight loss aids such as diet pills.